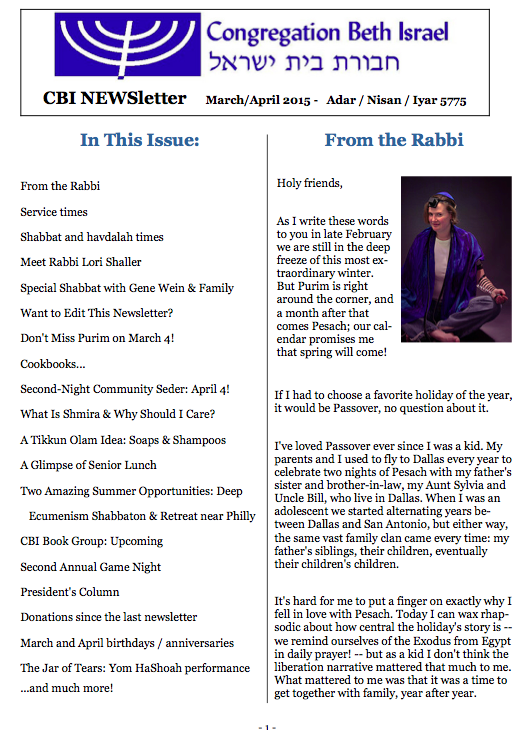 The March-April 5775 / 2015 Newsletter is Here! Want to Edit This Newsletter? Don’t Miss Purim on March 4! 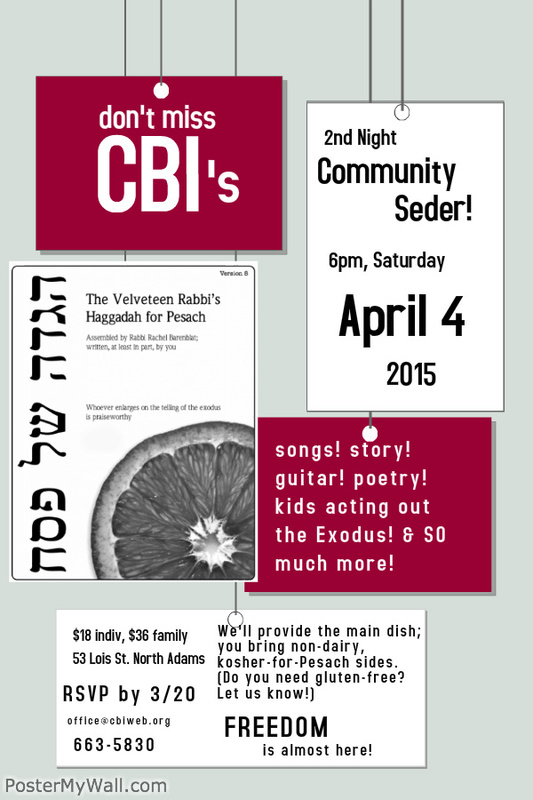 Second-Night Community Seder: April 4! What Is Shmira & Why Should I Care? April 4: Second Night Community Seder! Shavua tov – a (slightly belated) good week to you! And here’s the URJ’s compilation of commentaries on this week’s Torah portion: T’tzaveh | Reform Judaism. This coming Shabbat is a special Shabbat, Shabbat Zachor — the Shabbat immediately before Purim. So you may hear verses from Deuteronomy which are special to Shabbat Zachor, in addition to or instead of Tetzaveh. 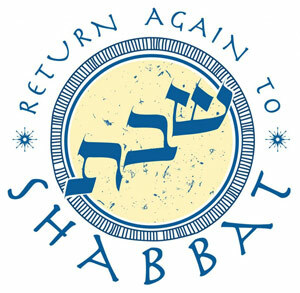 This coming Shabbat morning, February 28, services will be led by Rabbi Pam Wax. Join us for Shabbat davenen (prayer) followed by Torah study — or, if we don’t quite make a minyan, we’ll do the Torah study during the service. God spoke to Moshe saying: tell the children of Israel that they should bring Me gifts…from every person whose heart is so moved. Earlier this week I studied a Hasidic text written by the grandson of the Baal Shem Tov, Rabbi Moshe Chaim Ephraim of Sudilkov. In his book the Degel Machaneh Efraim, he offered a fascinating interpretation of the word terumah. What is the Torah of forty? Torah was revealed atop Sinai over 40 days, he writes — just as a human being, in ancient rabbinic thought, achieved its form in the womb over a period of 40 days. He’s drawing on a longstanding rabbinic interpretation which connects the number 40 with the time it takes for something to go from beginning to fruition. The rabbis also taught that 40 are the days between planting and harvest, and 40 are the weeks between conception and birth. So Torah comes to us through 40 (days), and a human being comes to us through 40 (either days or weeks.) What happens if we re-read the opening lines of this week’s Torah portion through this lens? God spoke to Moshe saying: tell the children of Israel that they should bring Me the Torah of completeness and fruition; the Torah of every human being. Human beings and Torah both require 40 units of time to emerge into this world. Ergo, each person is a Torah! This is a radical teaching, because in Hasidic thought the Torah is the most valuable thing imaginable — it’s a direct transmission of God’s essence. Let them make Me a sanctuary that I may dwell within them. What can it mean to say that God dwells within us? The Degel teaches that that we bring God into ourselves when we study Torah, because Torah is one long and complex Name of God. The gifts we’re called to bring before God are gifts of ourselves; gifts of our own completeness; gifts of new creation which only we can bring. The root of the word terumah is רם, which connotes raising something high. When we understand that we, and God, and Torah “inter-are,” then we can bring our most unique personal gifts, and in so doing be elevated to the highest of spiritual planes. May it be so! My infinite thanks are due to my hevruta partners Rabbi David Markus and Rabbi Cynthia Hoffman for translating this text with me, and especially to R’ David for helping me tease out its deeper spiritual implications. If the idea of “inter-being” is new to you, read this tiny excerpt from Thich Nhat Hanh — from his book The Heart of Understanding, which R’ David and I also studied together some 25 years ago! Shabbat Morning at Williamstown Commons – we’re back on! This Shabbat (February 21 / Shabbat Terumah) we will not hold services at CBI; instead we will hold an abbreviated service beginning at 9:30am at Williamstown Commons, the nursing and rehabilitation center at 25 Adams Road in Williamstown. Gene Wein, one of our oldest members (and also one of the people who’s been a CBI member for the longest time), greatly misses coming to Shabbat services. Since he can’t leave Williamstown Commons, this weekend we’re bringing services to him. Join us at 9:30 at Williamstown Commons (note the unusual location) for a short-and-sweet Shabbat service. We’ll sing as many traditional melodies as we can (hoping to give Gene some joy in hearing melodies he may remember), hear a brief d’var Torah, and close with a kiddush. We hope to see you there! Chodesh tov – happy new month of Adar! Also, a Purim update. Chodesh tov / a good new month to you! If you’ve looked up at the night sky recently you might have noticed that the moon has been shrinking away to nothing. It’s new moon, which means that it’s a new month on the Jewish calendar. Why is this a month of joy? One answer is that this is the month which contains Purim. In two weeks when the moon is full, we’ll celebrate Purim by entering into the story of the Megillah of Esther. The Purim story is yet another one of those “they tried to kill us, they failed, let’s eat” tales — this time it was the wicked vizier Haman in the Persian city of Shushan who wanted to kill the kingdom’s Jews because the virtuous Mordechai wouldn’t bow down to him, only to God. The Megillah reads almost like a pulp novel or soap opera, complete with harems, beauty pageants, wicked viziers, and wild swings of fortune. But there are also deeper themes in the Megillah of Esther. One of them is the theme of inversion. The king, who ought by all rights to be in power, turns out to be a buffoon; Haman, who builds a gallows for Mordechai, winds up swinging on it himself; Esther, who hides her Jewishness, “comes out” and saves her people. Everything gets turned upside-down in a way that’s for the good. Maybe that’s part of why this is a joyful month: because it invites us to turn things upside-down and see them from a new vantage point. The Megillah of Esther never mentions God. But God’s presence is palpable throughout the text. God is hidden — nistar (the word comes from the same root as the name Esther, who hides her Jewishness) — but just because God’s presence is invisible, that doesn’t mean God isn’t there. On the contrary: divine providence is everywhere in this story. Maybe that’s another reason why this is a joyful month: because we remember that even when God seems absent and hidden from us, divine presence is always here. – and what you plan to bring to the sweet-and-savory snacks buffet! May we all experience increased joy as the Adar moon waxes. Looking forward to seeing y’all at Purim!